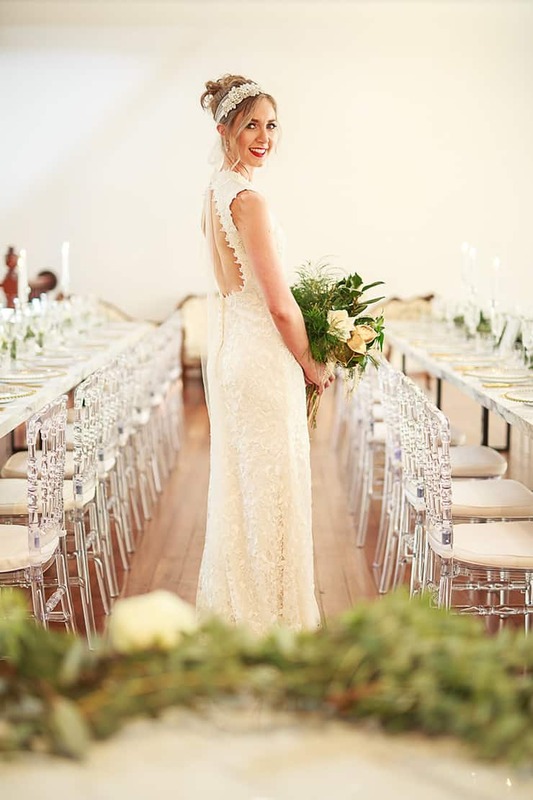 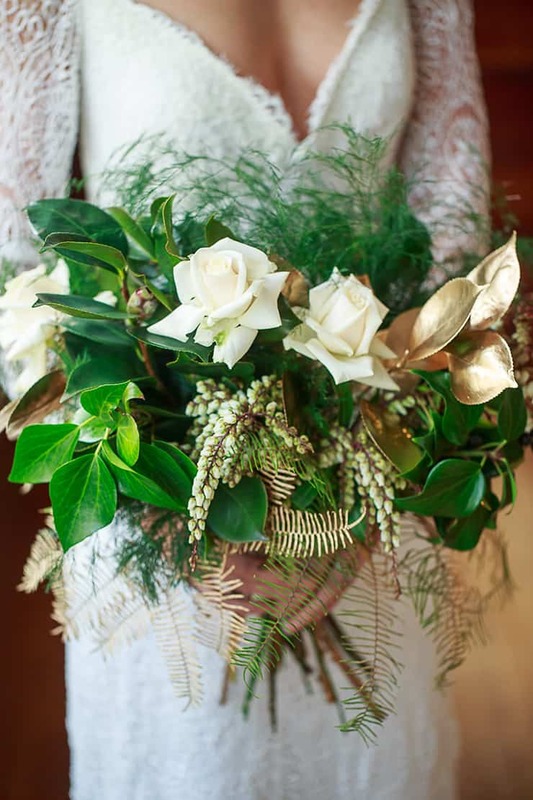 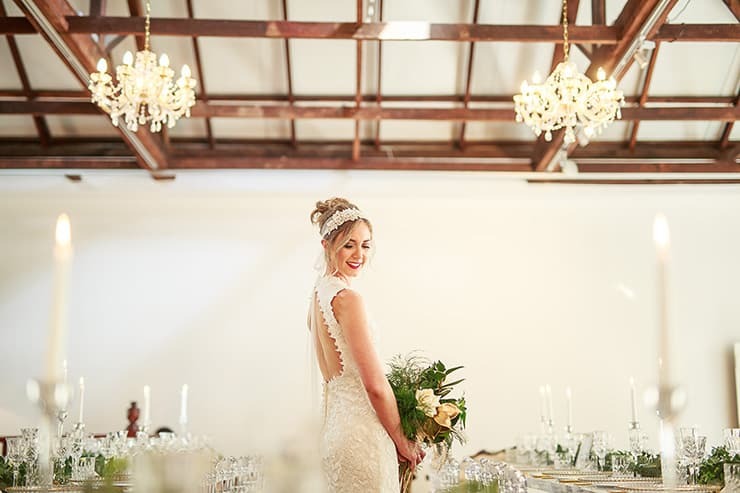 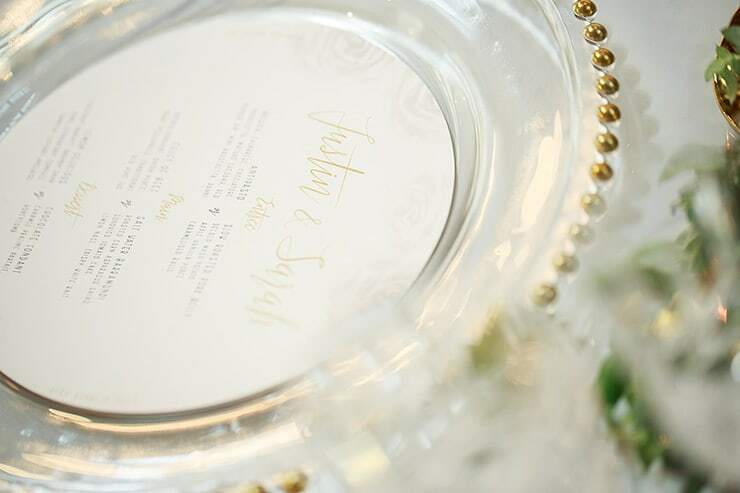 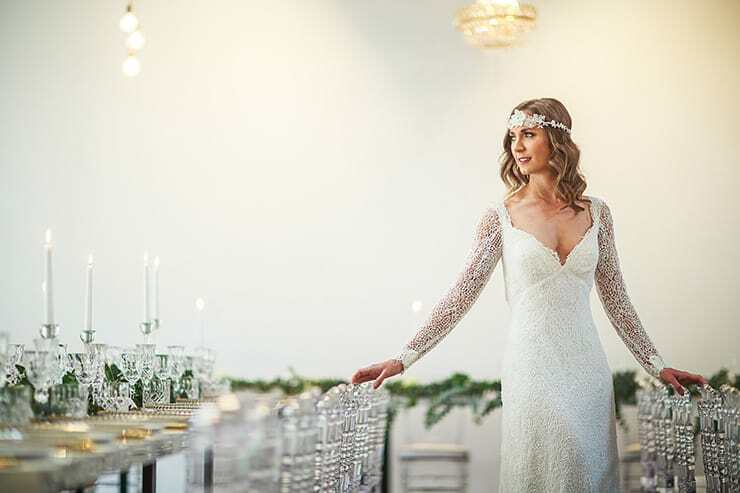 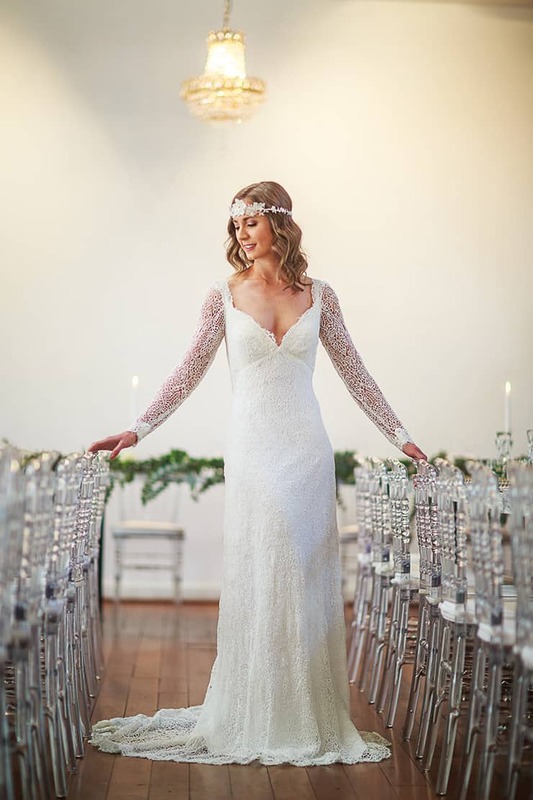 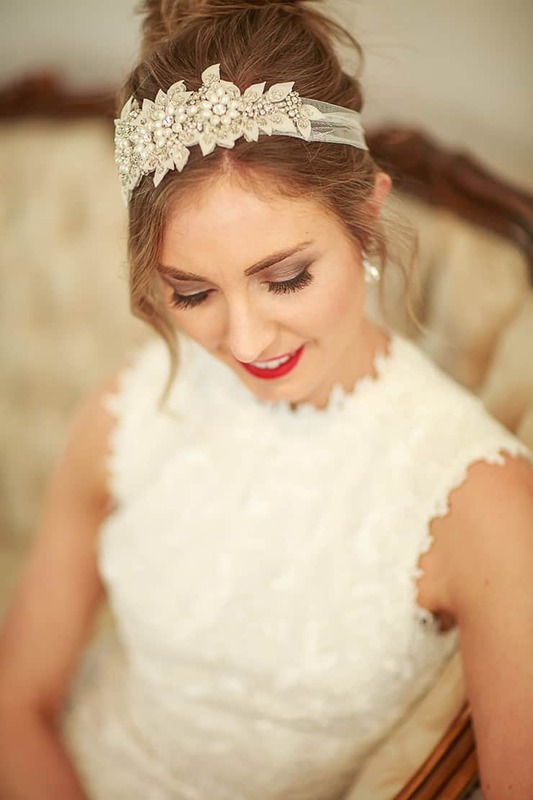 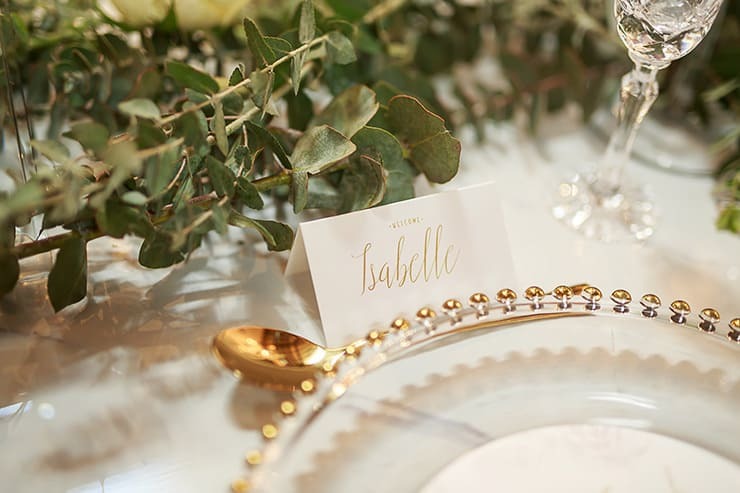 Elegant and light-filled, with subtle touches of gold – this vintage glam styling couldn’t be more on point! 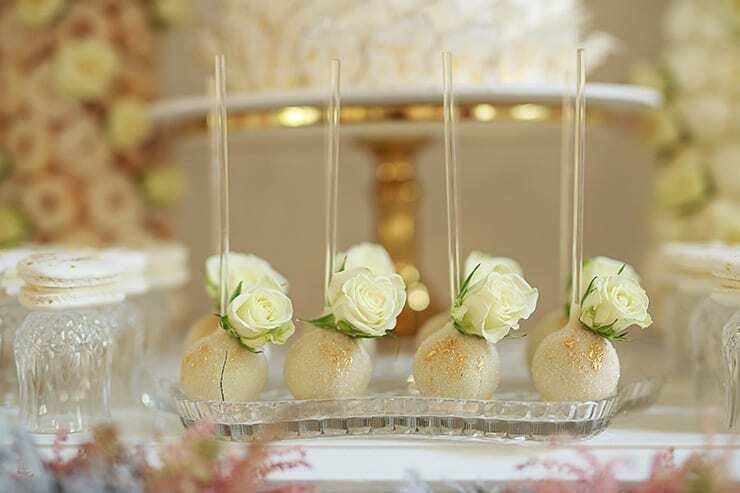 Combining luxe reception decor with a sumptuous lounge setting, timeless wedding gowns and dessert buffet, this inspiration will have you examining every lovely detail. 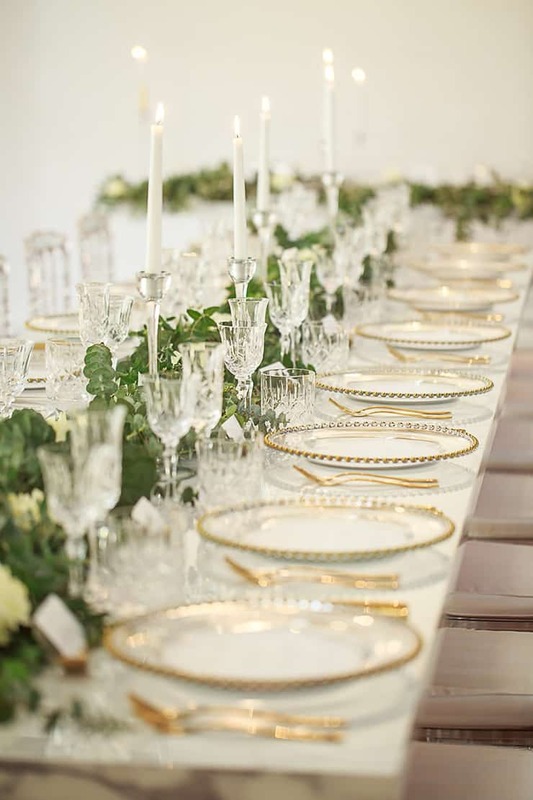 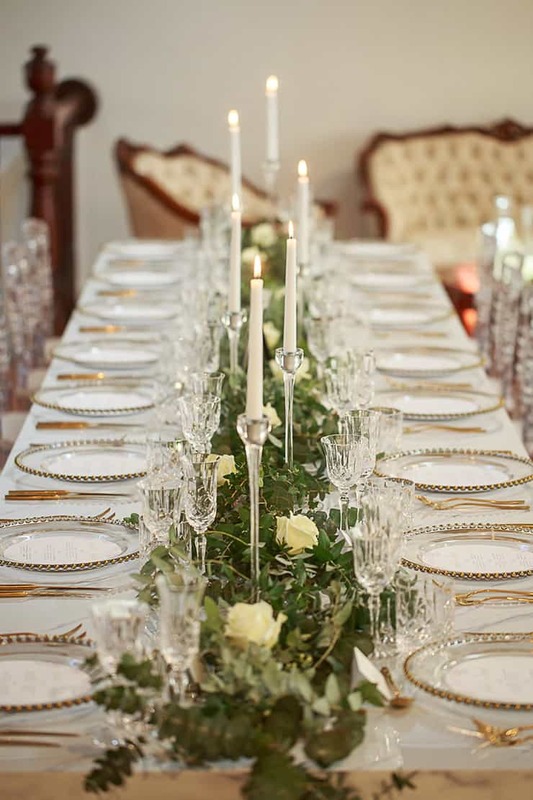 Gold beaded chargers and cutlery add an opulent touch to long white tables set with runners of fresh greenery, roses and tapered candles. 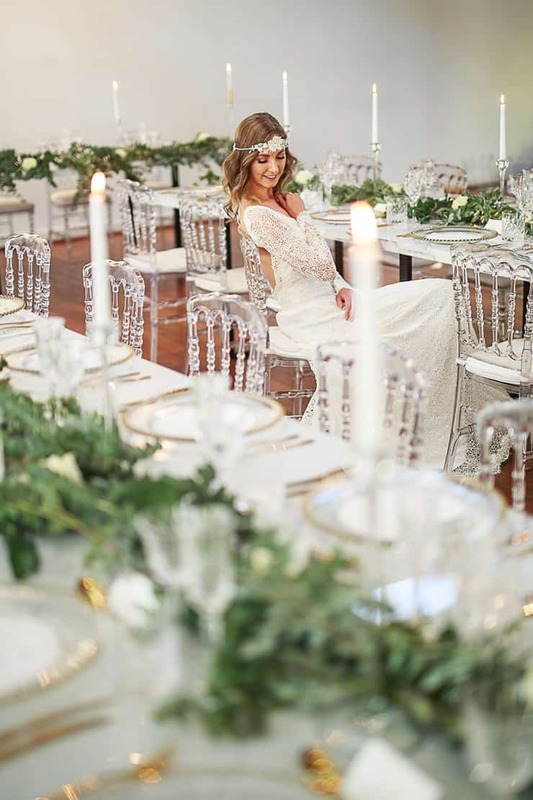 Catching the light like the crystal glassware, ghost chairs offer a modern twist to this glamorous look. 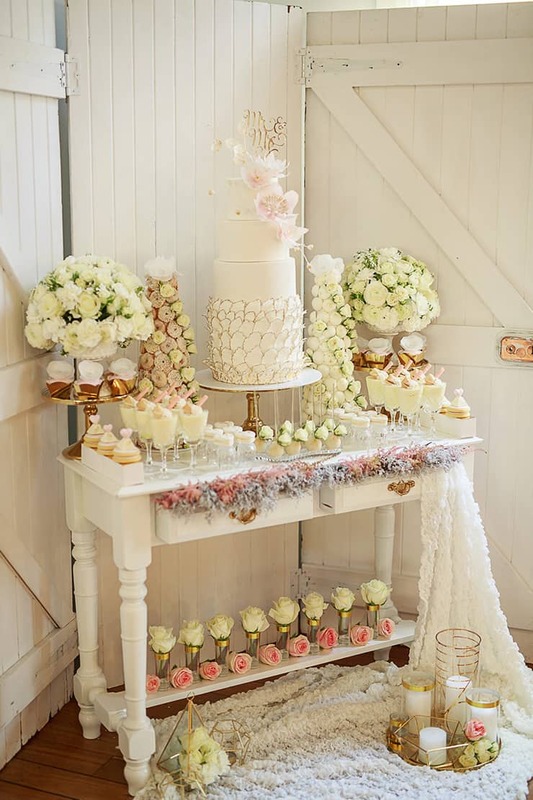 There’s so much to love about this dessert-laden dresser! 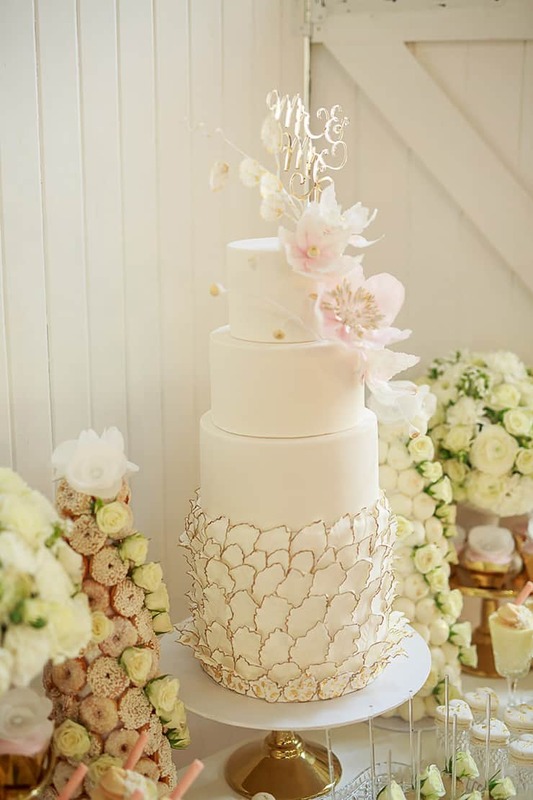 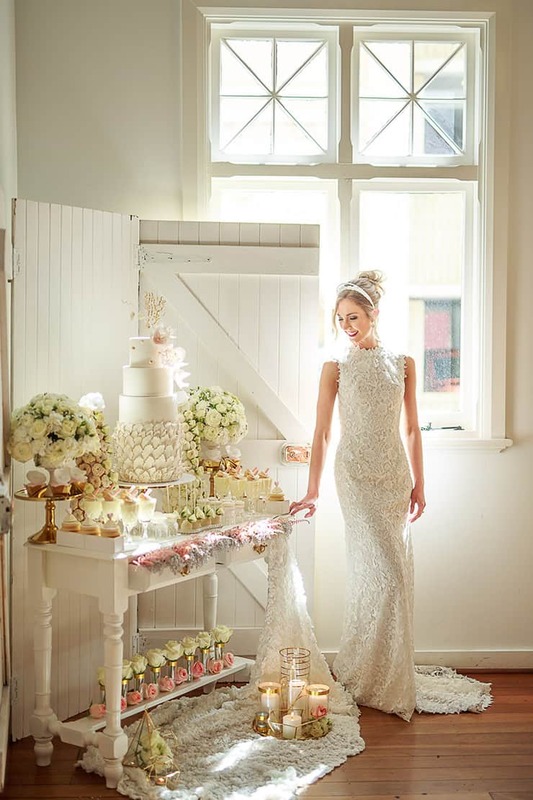 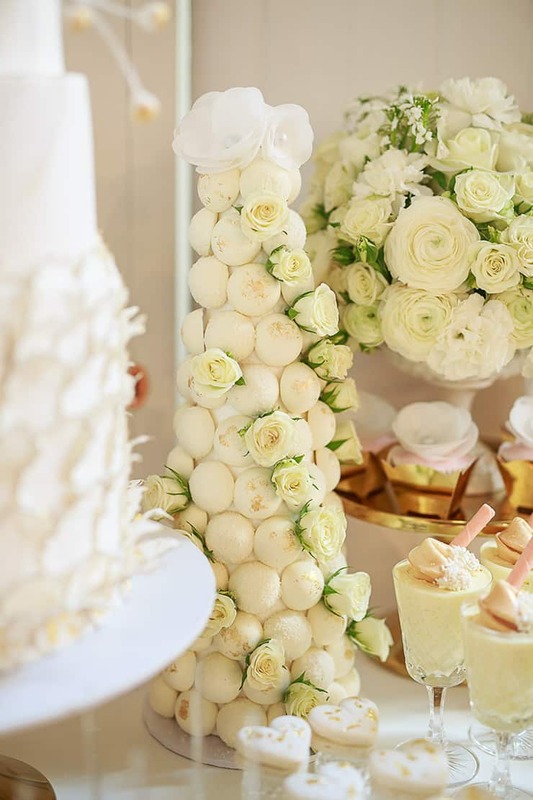 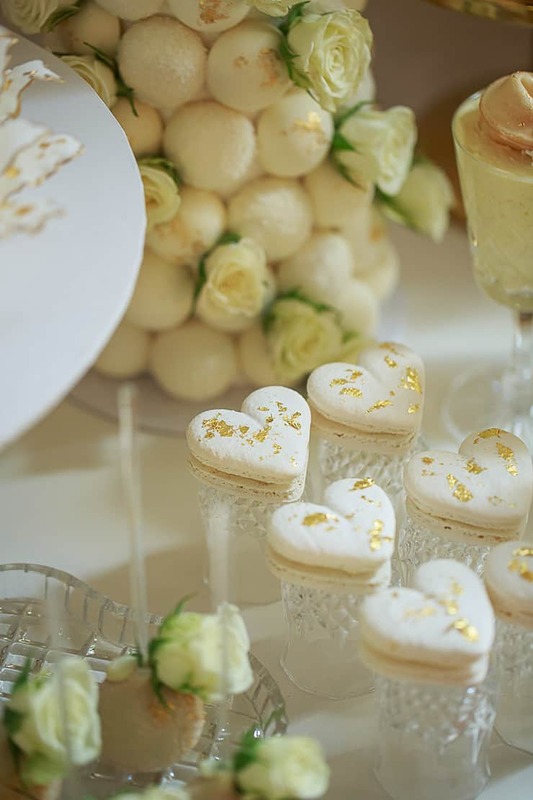 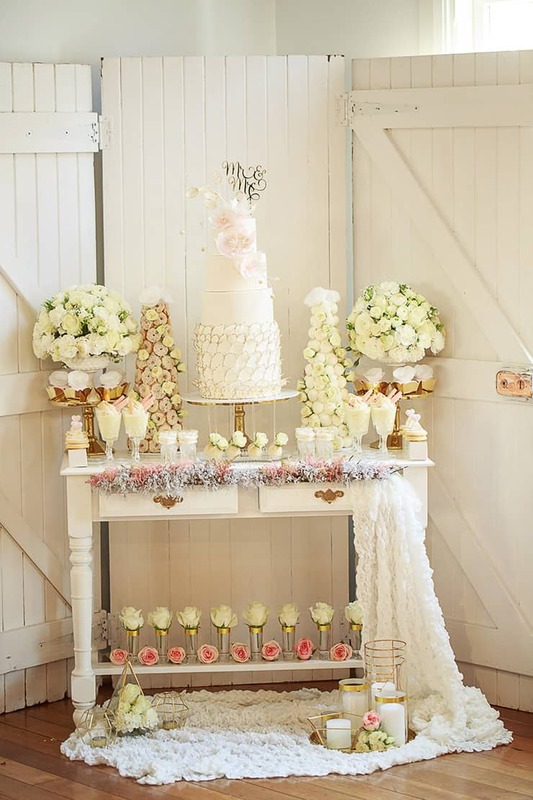 A white timber backdrop made from repurposed doors frames a buffet of gold-dusted cake pops and heart shaped macarons, artfully crafted towers of decadent treats and a show stopping cake featuring delicate sugar work. 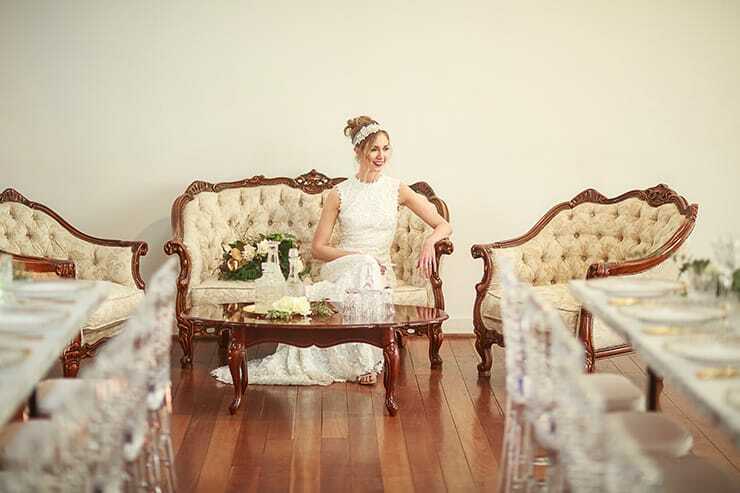 A vintage lounge is the perfect after-dinner drinks destination, and this elegant cream suite with ornate timber detail delivers old world charm. 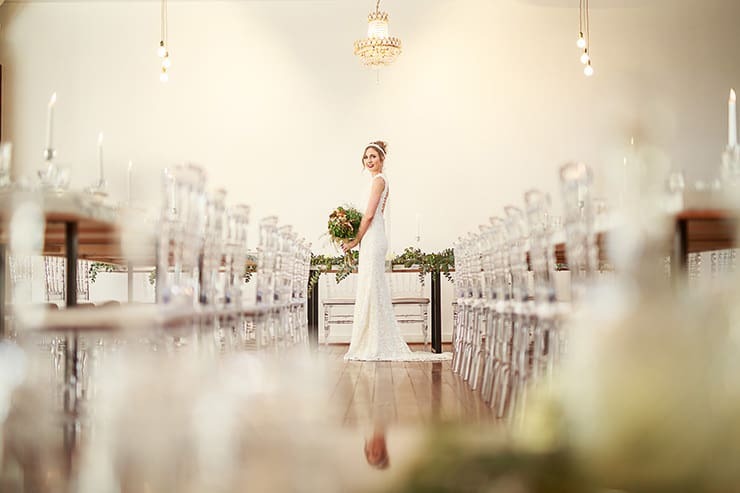 Paired with a coffee table topped with crystal whiskey decanters, this exquisite setting complements the exposed beams and gold decor of the reception space. 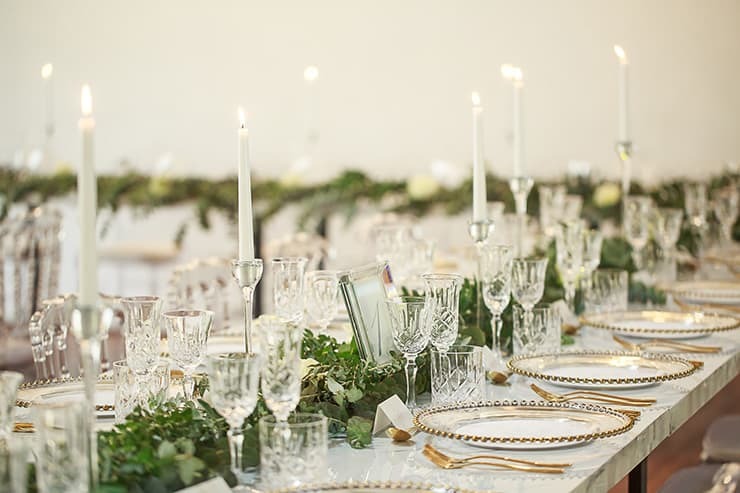 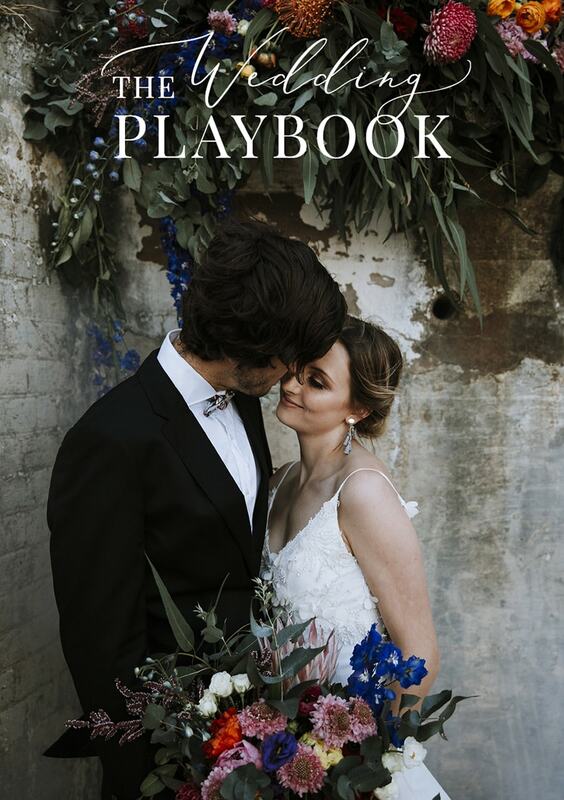 If you love the idea of celebrating in a candlelit dining room, Lea and Jeremy’s wedding features more stunning inspiration to fall in love with!